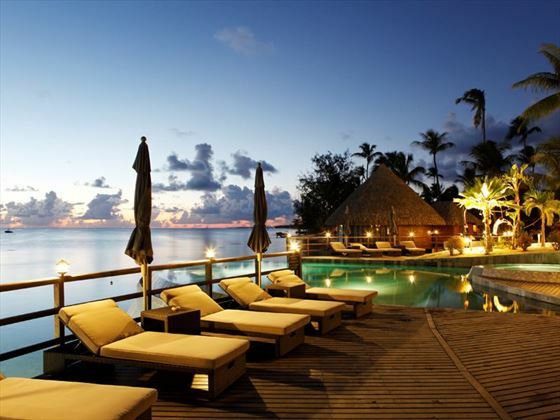 Located in Rangiroa, an isolated and small oasis just an hour away from Tahiti’s main island, this lovely retreat is the perfect escape for those hoping for that enviable castaway vibe. 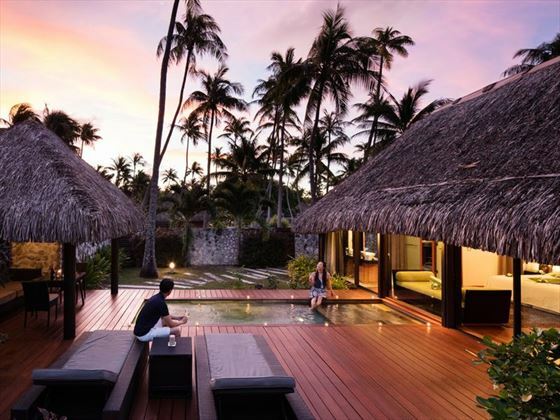 Built in the traditional Polynesian architectural style, we love that this resort resonates with the desire to enjoy a laidback and luxurious island getaway. Everything is stripped back, letting the sparkling lagoon and coral atoll do the talking. 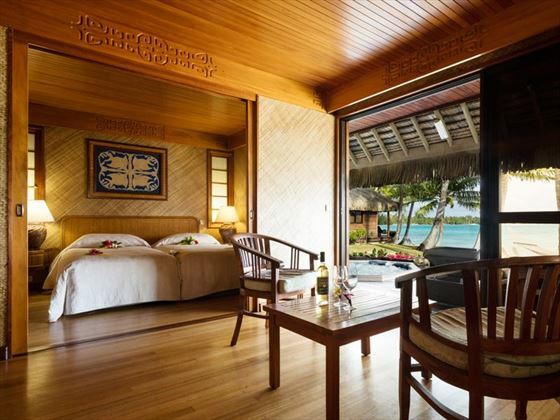 Whether you choose a gorgeous Overwater Villa, a private Pool Villa or a rustic-luxe Beach Bungalow, you’ll be taken aback by the barefoot luxury each option offers. Take a dip in your very own pool in your Pool Villa, relax in your hammock in your Beach Bungalow, or enjoy a unique view of the ocean with your Overwater Villa’s glass floor. 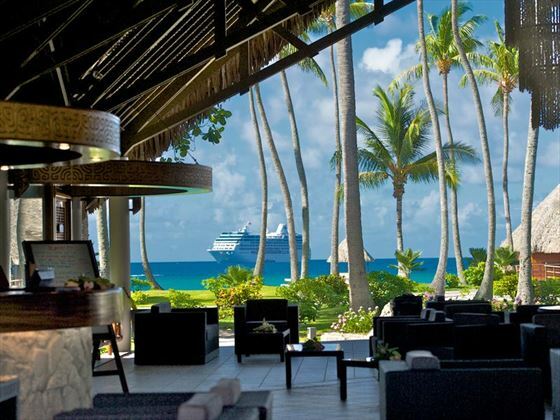 Whichever you choose, you’ll be treated to Tahiti’s take on luxury living. A taste of the simple life is this resort’s philosophy, and that includes dining. Restaurant Te Rairoa offers a charming open-air venue right by the pool, where you can enjoy deliciously fresh Polynesian and international cuisine for breakfast, lunch and dinner. Jutting over the lagoon, Mika Mika Bar is an idyllic overwater bar offering unique Kia Ora cocktails. 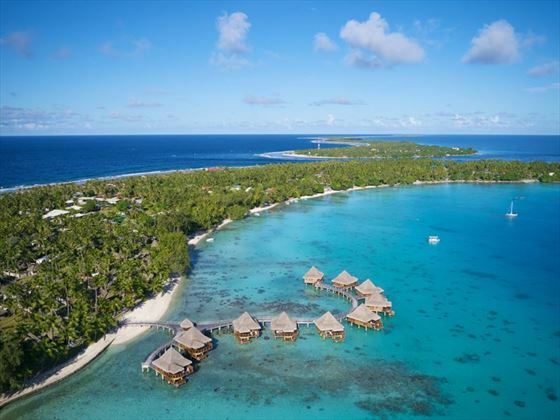 Aptly called ‘Rangiroa Blue’, the lagoon that frames the island is truly stunning, so make sure you spend some time snorkelling and exploring the vibrant coral reefs here. A stay at this memorable property is bound to be relaxed and serene. 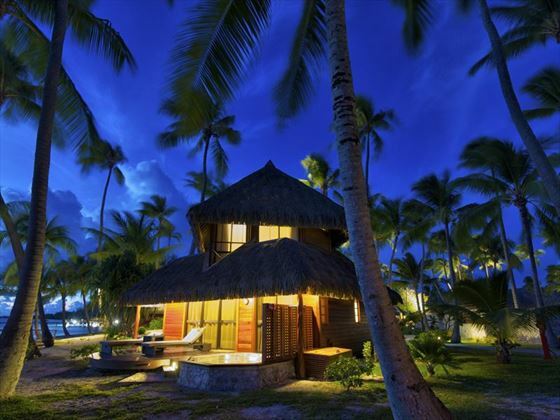 The resort is tucked away in Rangiroa, a beautiful island formed of over 240 small motus (islets). 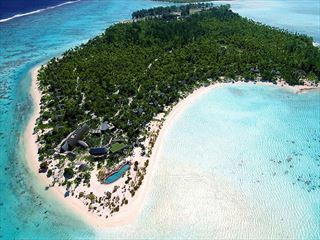 When arriving in the air, the coral atoll that surrounds the turquoise lagoon looks like a stunning stringed necklace. 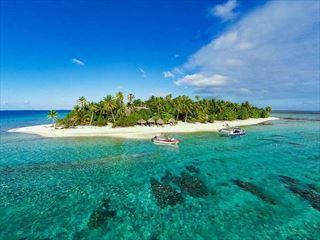 Just 200-300 metres in width, Rangiroa is a tiny island that packs a punch when it comes to striking views and barefoot luxury charm. The resort is an hour flight from the main island. We feel this adds an exclusive and secluded touch. 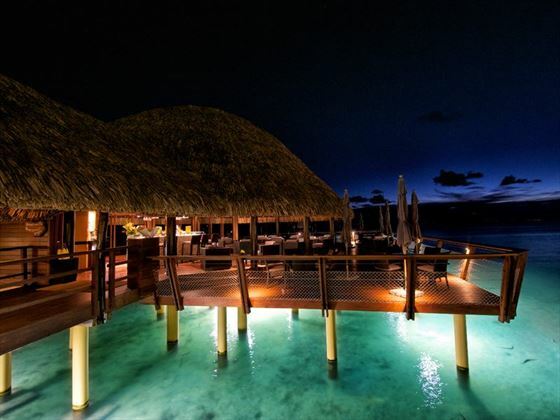 Overwater Villas – Beautiful 45.2sqm villas that jut out over the turquoise lagoon, boasting an expansive deck, and an open-plan bedroom and living room with a section of glass floor to look at the tropical fish below. Pool Villas – These 45sqm villas are wonderfully private, surrounded by white coral walls so that your garden, pool, terrace and open-air bathtub feel secluded. 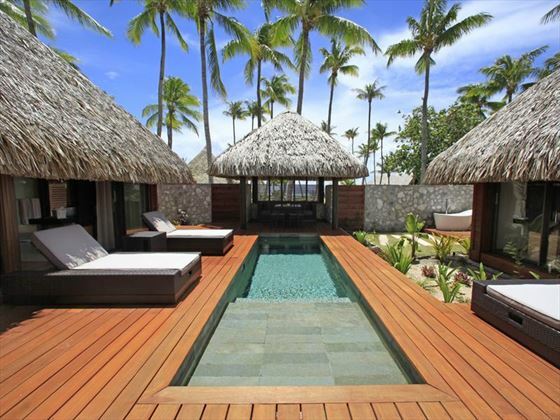 These gorgeous villas also include a bedroom, a living room and a shower room, all decorated in traditional Polynesian style. 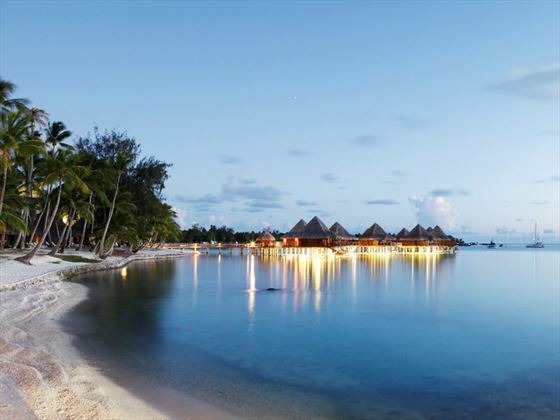 Beach Bungalows – Nestled along the pristine white sand beach, these Polynesian style bungalows are very authentic, decorated with local arts and crafts, wooden carvings and coral. 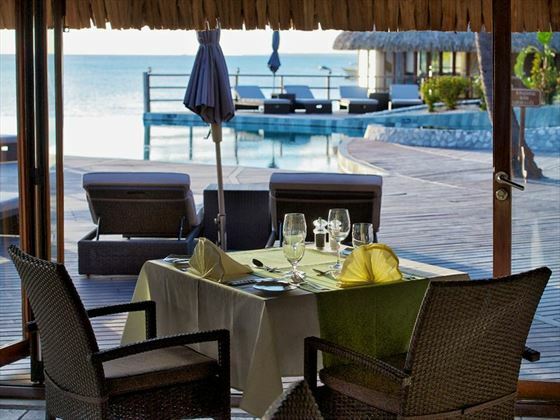 Each boasts an outdoor Jacuzzi on the terrace, beautiful views of the lagoon, and even a hammock for extra relaxation. 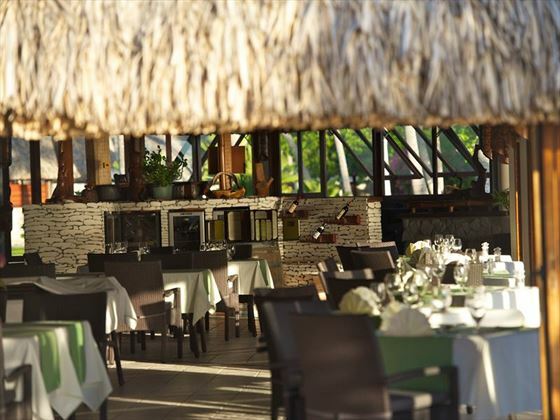 Restaurant Te Rairoa – Located in the heart of the resort, this warm and inviting restaurant looks out onto the pool, with its open-air terrace bringing a tropical vibe. Head here for breakfast lunch and dinner, serving up international dishes with a French Polynesian flair. Open 7am-10am, 12pm-2pm, and 6.30pm-9pm. 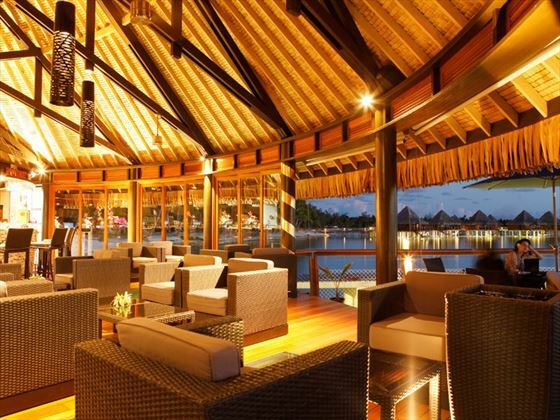 Miki Miki Bar – Suspended over the lagoon, this vibrant bar boasts glorious views when the sun starts to set over the water. 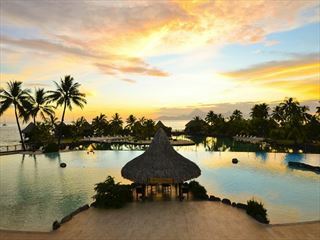 A romantic ambience and 360-degree ocean views add to the charm of sipping Hinano Tahitian beer and Kia Ora cocktails.